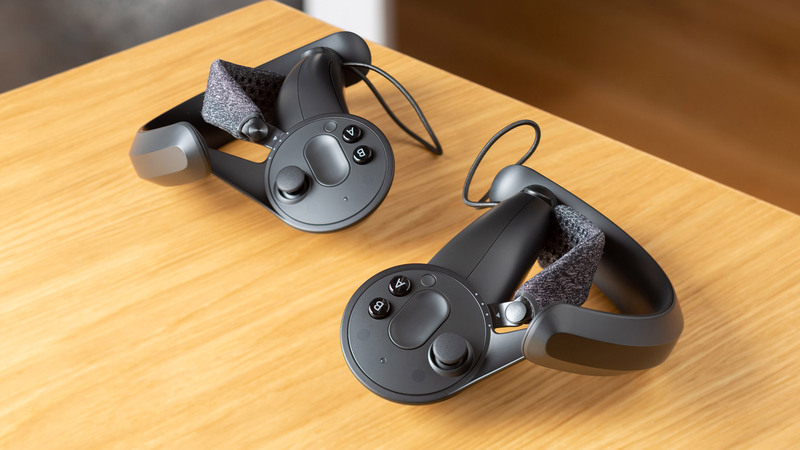 Valve this week revealed the newest version of their upcoming ‘Knuckles’ VR controllers which have graduated from the ‘EV’ prototype distinction to ‘DV’ dev kits. While Valve has yet to offer any indication of launch timing, the latest refinements suggest the final version is near at hand. Knuckles is Valve’s next-gen VR controller which is loaded with sensors that the company hopes will make VR more immersive by bringing more of user’s natural hand dexterity into the virtual world. In addition to being able to sense which buttons or sticks are being touched—similar to Oculus’ Touch controllers—the handle of Knuckles has capacitive and force sensors inside which allow the controller to detect full finger movement and even grip strength. Having publicly shown off the Knuckles VR controllers for the first time all the way back in 2016, development of the device has seemed in the intervening time. That is until 2018 when the company became a little less secret and began showing off more significant progress with the EV, EV2, and EV3 Knuckles prototypes. Developers can request one of the dev kits through the Steamworks Partner Site via the ‘request Beta Hardware’ link. Valve says it’s making Knuckles DV “available in quantity,” though still expects that developer demand will outstrip supply. Valve previously said that it was sending out “hundreds” of EV2 prototypes, and it sounds like DV will be available even more widely. At this point we expect that the company is already doing small manufacturing runs of the controllers and refining their manufacturing process in tandem with the controller in anticipation of wider production. 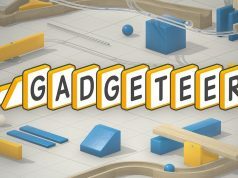 With the latest improvements to the controller, 2019 is looking like an increasingly good bet for a release, though the company has been extremely tight-lipped about a release date. 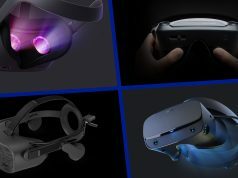 Whenever the release date does come, many are expecting that the controllers will launch alongside one of three VR games that Valve has confirmed are in development. I can’t help feeling that Valve want to release the Knuckles and their HMD as one package (or at least together) for a full product. Based on what we’ve seen in the leak, it’s looking really promising and I’m going to be following this intently. My expectation too. I suspect the hope is to release the Knuckles, HMD (possibly in collaboration with LG? ), and Half Life prequel as a launch package. This would be great. I’m waiting for Valve HMD so much.. Throw in HL3 while they’re at it. I swore up and down when the HTC Vive was released it would be with HL3. So I’m cautiously optimistic. Yeah, I won’t be holding my breath on it, but it would be a pretty smooth move on Valve’s part… I think they may be waiting to release HL3 until VR has matured to a mainstream technology though – which at this point mostly means sorting out locomotion; better resolution, FOV and wireless functionality are already right around the corner, and are likely incorporated in Valve’s new HMD design, but until they solve locomotion I don’t see it becoming truly mainstream. I would put comfort/form factor high on the list as well. I thought it was actually Half-Life 2, episode 3? I never got to finish after episode 2… And what happened to HL2 VR port? Lol at this point I’d consider it straight up trolling if they release another episode of HL2. The story can just continue in HL3, wrap it up in the opening hours if need be before moving on. There’s talk of a HL3 prequel as well. If they did this, and the game was actually great, THEN I think they’d have a potentially big VR hardware/software hit on their hands. the advantage of a modular ecosystem? Valve orange box:- headset, lighthouses, knuckles, software title(s). Hell yeah!! 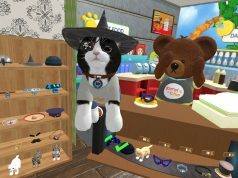 Valve bundle:- lighthouses+knuckles – great for Pimax headset purchasers (or any headset only purchases i.e. Vive Pro, StarVR if that happens). Valve knuckles – great for Vive/Pro owners with working or defective legacy controllers (wands). I don’t think these will work with Lighthouse tracking v1, so would need v2. If and when valve announces hmd and everything, I see a huge flood of vive one on ebay, the likes of which we have never seen lol. They work perfectly with LH v1. LHV1 equipment cant work with LH V2 thats how you need to see it. So the original vive wands dont wok on LHv2 . But the new ones doe work on LH v1. it is somewhat confusing, no doubt! A good advertising campaign could educate people so they understand this issue. This is correct, but confusing even to me from time to time! I think Valve would do well to make it clearer to users what’s compatible with what for everything under the SteamVR Tracking umbrella. Time to release these things Valve. I’m glad valve is moving into the vr game. With HTC trying to milk its buyers with the “deluxe audio strap”costing $100 and new controllers for $120. Just fyi, the regular Vive controllers are actually $130 and the Vive ‘2.0’ controllers are $199. Ridiculous, I say. Wow, I never even noticed, I didn’t realize this was from valve, and not HTC. Great, I want these even more now. There is no HTC on it i got them directly shipped form Valve USA. I can’t wait put my knuckles in those knuckles. Valve is an example to the rest of these companies on how to truly take your time and cook up some badass hardware. Time out, time out, time out…. Error, bip bip bip, Error…. It doesn’t look like they fixed the grip trigger. The Oculus Tough has a proper button, so picking up, dropping, and even holding is a breeze. On the VIVE wands, the button is a hard click sort, and holding it down requires some force. It’s effectively useless. It’s good to see the joysticks as well. It was a HUGE oversight to relay on the touchpad, which I stated numerous times here is impossible to use dependably without sight. I would like to take all of the words from all of the touchpad-defenders, put them all in a large bowl, and FEED it to them. Even Valve now accepts that joysticks are essential to VR. That little swipe strip is a slightly better idea, although I’d bet money right now that people will accidentally hit it all of the time as their fingers travel between the joystick and the buttons. Anytime your thumb doesn’t move ALL the way over, you’ll be right in that divot, activating that swipe pad. I wonder why Valve is so good as pursuing new technology, but so bad at implementing it correctly? The designers at Oculus are far more intelligent in their interface planning. What do you mean they didn’t fix the grip trigger? There’s no grip trigger to fix. Personally speaking as a PC gamer who never used a gamepad I love the touchpad, and I am *not* looking forward to having to get used to joysticks. 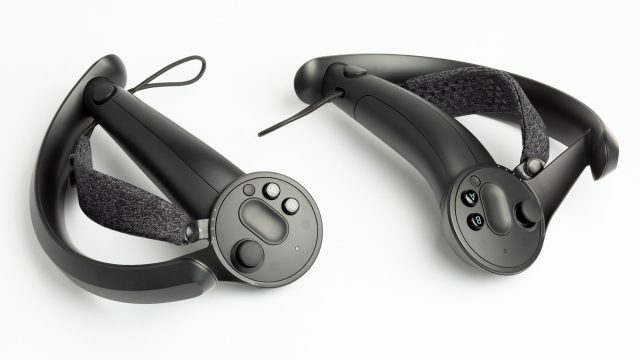 Unpopular opinion maybe, but I feel the original Oculus Touch controllers were perfect ergonomically, and everything else everyone’s been showing (Valve included) just looks inferior in that respect. I’ve used both and the Touch controllers are definitely better in terms of ergonomics. The Touch controllers don’t come close to Knuckles in terms of functionality though. The capsense tracking is pretty good at approximating an entire hand, way better than Touch’s touch/no touch detection, and the force sensors are a great addition. Thing is, I don’t think it’s possible to fit all the stuff knuckles does into something as slim as the Touch controllers. That said, the difference in ergonomics really isn’t so big as to be a showstopper – the knuckles controllers will still be very popular and I use them more than Touch. The graphics/design of the old controllers are often shown in-game when showing the player what button does what… will the new design of knuckles get patched into older titles? I doubt it, if the devs are no longer around.